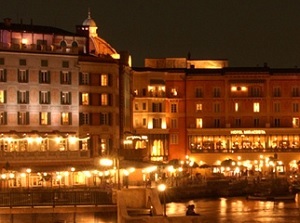 Tokyo Disney Resort is the resort complex with two popular theme parks, Tokyo Disneyland and Tokyo DisneySea. In addition to these theme parks, it has the shopping mall "Ikspiari", the official Disney goods specialty shop "Bon Voyage! 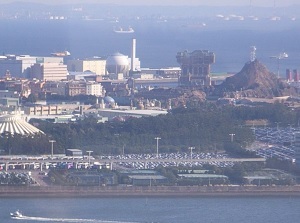 ", the theater "Cirque du Soleil Theatre Tokyo", and some large resort hotels. It is on the coast at the northern end of Tokyo Bay, and is located only about 12 km east-southeast of Tokyo station. It is in Urayasu city in "Chiba Prefecture", but because it is in Tokyo Metropolitan area and "Tokyo" is known in the world, "Tokyo" has been borne on the name. 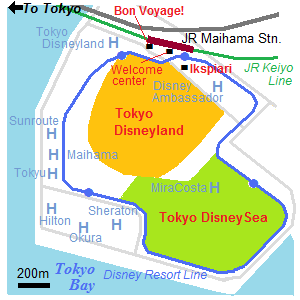 First, "Tokyo Disneyland" was opened in 1983. It was the first Disneyland outside America. After that, the Walt Disney Company proposed the conception of resort complex, then some hotels had been built around the Disneyland since 1986. 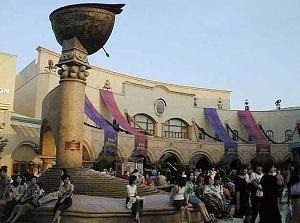 In 2001, Tokyo DisneySea was opened, and since here is developing. The nearist station is Maihama on JR Keiyo Line, and the main gate is in front of the station. The area has the width both about 1.5 km from east to west and from north to south. 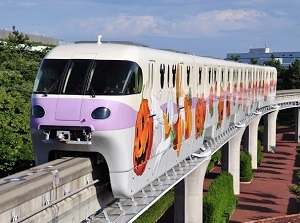 And Disney Resort Line, a monorail, runs around the area. About 25 million people visit here a year, and it ranks 3rd in the world. From some stations in Kanto region, the buses to here run directly. About 1 hour from Shinjuku station and Yokohama station. And about 1 hour from Narita Airport, about 50 minutes from Haneda Airport. From Osaka, Kyoto, Kobe, Nara, Nagoya in western Japan, the long-distance night buses run directly every night. For example, The bus from Kyoto departs Kyoto station at 23:00, then it arrives here around 7:30.